[ARCHIVED THREAD] - Help me pic a short bbl ak pistol. Yugo vs romanian vs ______? 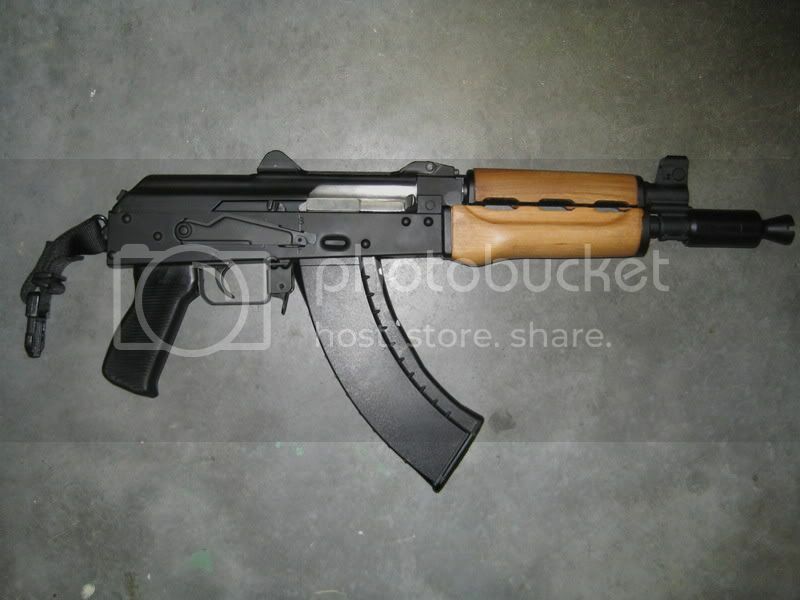 I decided that I have to have an ak pistol. Im not sure what the differences are or what is needed. I am looking at Yugos for twice the price of romanians. I will be keeping this for CQB defense so I basically want the one for all use no show. I cant seem to fiing one that is chromed lined... What difference does it make whether it is chrom lined or not? What difference does it make whether it is chrom lined or not? 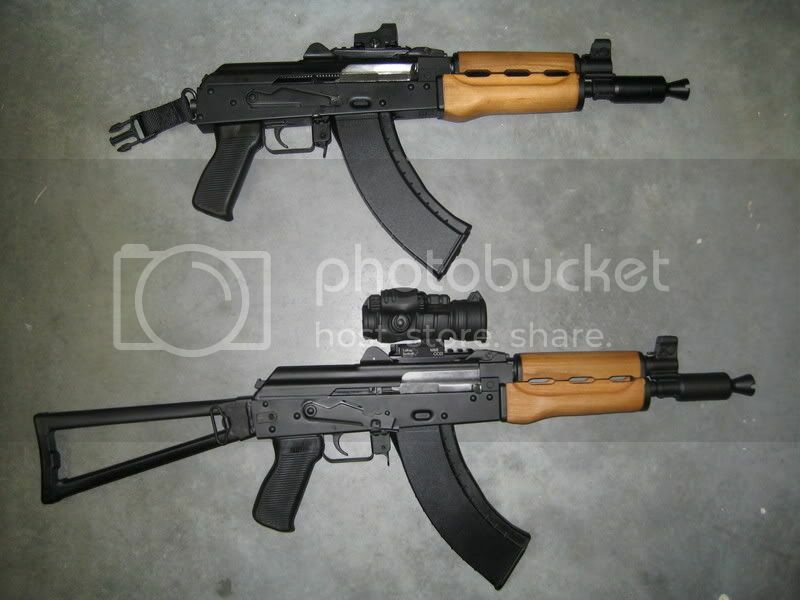 just out of curiosity, what's your profession that you are going to use an AK pistol for close-quarters combat? i'd recommend looking around at other threads discussing AK pistols and their real-world practicality for such an exercise. being the owner of an M92 pistol, if I need an actual gunfight pistol i'll use my Sig p220 or better yet just use something with a buttstock. Chrome lining is more corrosion resistant and easier to clean. It may be a good idea to either buy ASAP / STAT or wait it out. AK pistols were ~400-$600, now they are $650 - $1k, if you can find one in stock. Krinkov type pistol is a bit different = M92 Assuming that you want a 7.62 pistol. Size is the difference in these pistols and quality. Look at the krink's dust cover and compare it to a Romy pistol's. BTW, how much ammo (7.62x39) do you have, how many AKs in 7.62 and how many magazines? I went with a Yugo M92 for my pistol. Its a bit more expensive, but looks a hell of a lot better than a chopped up looking Romy kit build. It really just depends on what your budget is. I'll have to agree with Armed Ferret on the practicality though. It turned out to be alot more accurate and has less recoil than what I expected, however I'd much prefer my M92 with the stock if my life were on the line. I agree an actual stock-less krink is a better choice than a chopped down yugo or romy. But you're looking at twice the cost. I'd pick the romy over the yugo in the cut off 13" for the chrome lining and lack of the grenade gas system. Great looking toys! If you can afford it yugo is the way to go. Looks, finish,fit and function they're an all-around better quality firearm.